Serving as an ever-lasting reminder that one's educational journey is never complete, a group of student leaders have taken the initiative to develop a campus icon that will tie together the vision and values of the University. 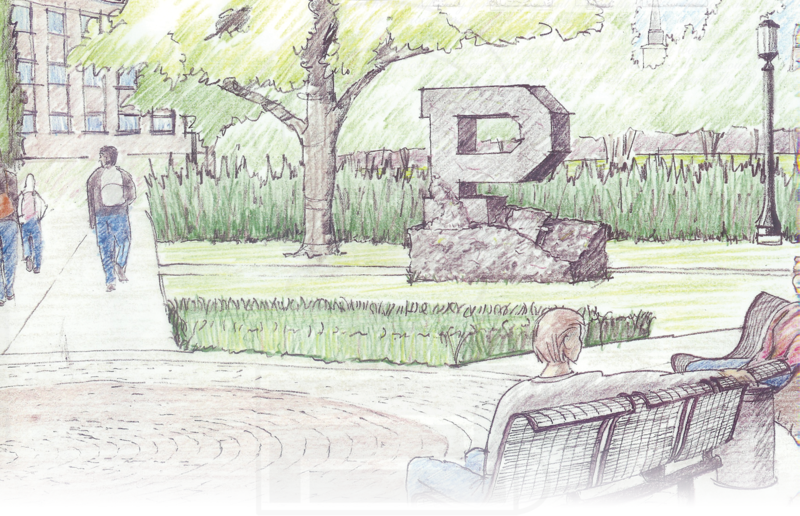 This project also is in response to President France A. Córdova's (Purdue President 2007-2012) desire to place substantial emphasis on the student experience in the next strategic plan for the University and her desire for a more beautiful campus. 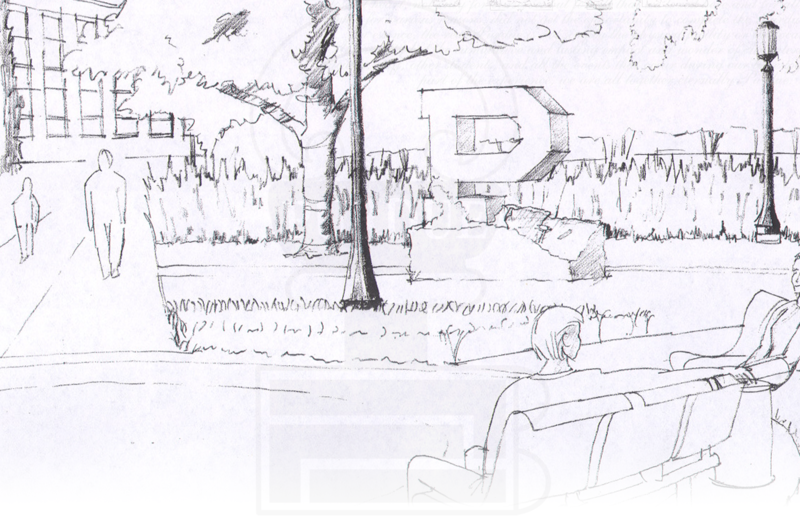 The "Unfinished Block P" serves as a reminder that even after graduating from Purdue, our experience is not over. Rather, we carry through life our numerous memories, friendships, lessons learned, and skills acquired. 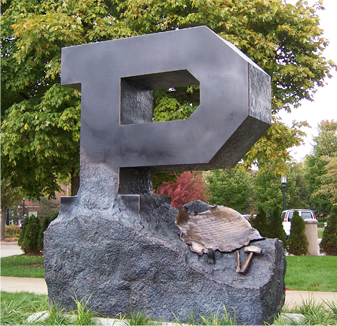 The "Unfinished Block P" is an emblem encouraging all Purdue students, alumni, and friends to treasure all that Purdue has blessed us with and to keep the Purdue experience close at heart, not only for ourselves but for all that we loved here and for all those students who, for various reasons, did not get the opportunity to complete the Purdue experience. In essence, the real Purdue is not simply the physical facility or the location of the University, but the cumulative and lasting impact and wonder of our interactions with faculty, staff, other students, and all the events that occur during our time together. Once a part of the experience, we are all eternally Purdue.